To enable us to assist you via Remote Access, we need you to download and install an application on your computer which provides us with an access code/password to get into your machine. This software will not allow anyone to access your machine unless they request your access code/password, so please ensure that you are only providing these details to people you trust. Setup is easy and straight forward. Click the ‘Download AnyDesk For Windows’ button above and click on Save. Once the download has completed, click Open or if using Chrome click on the download in the bottom left of the screen. 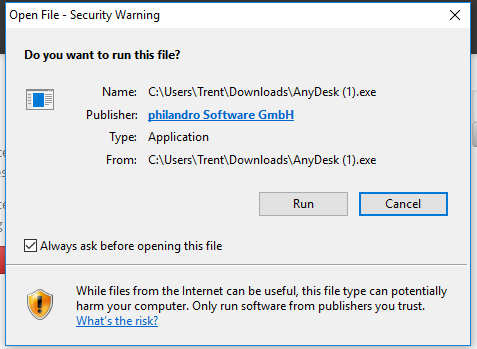 If you have a security warning, choose Run. 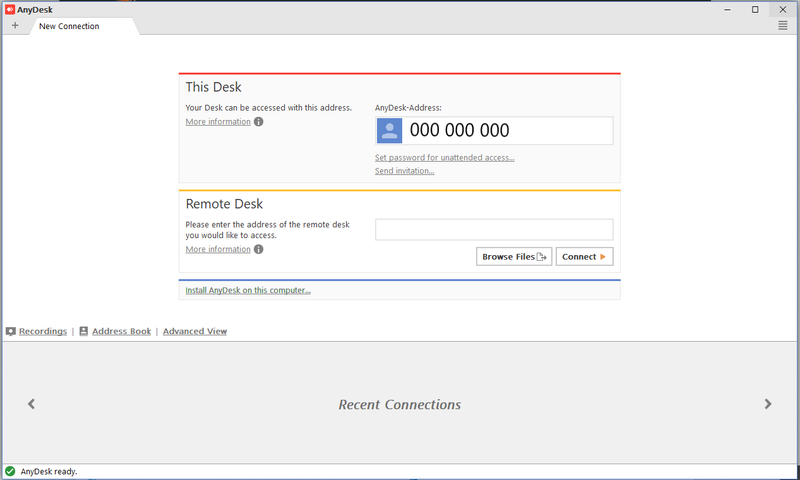 After a short period, a new screen will appear which is the AnyDesk application. You will be looking for the number under AnyDesk Address on the This Desk section of the application to show a string similar to below…it will change from a 0 to a 9 digit number similar to below. Please provide our operator with the AnyDesk-Address when requested to be able to enable remote access to your machine. If you have any questions or concerns, please do not hesitate to ask when we have you on the phone.